Slice tomatoes into 3/4 inch slices. 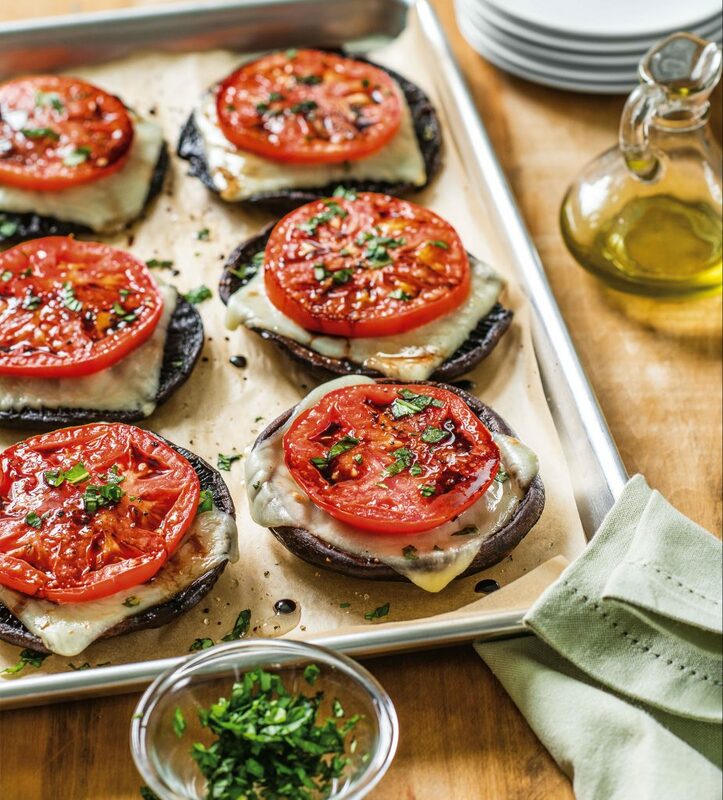 Place slices and end cuts of tomatoes on a parchment lined baking sheet (coat parchment with non-stick spray). Brush slices with 1 Tbsp. of olive oil, salt & pepper. Roast at 400 degrees F. for 15 minutes. Remove and set aside. Reduce heat to 350 degrees F.
Mix olive oil and garlic together in a small bowl. Brush mixture over all four mushroom caps. Place caps on a parchment lined baking pan. 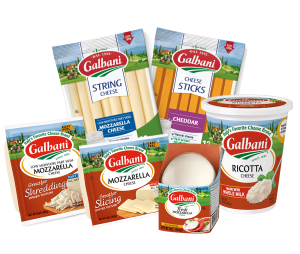 Layer it with: one end cut of tomato, one Galbani mozzarella cheese slice, then one thick cut roasted tomato slice. Sprinkle with chopped basil. Bake at 350 degrees F. for 15 minutes or until cheese is melted nicely. A balsamic drizzle is optional.